How are my active member fees used by the bar? 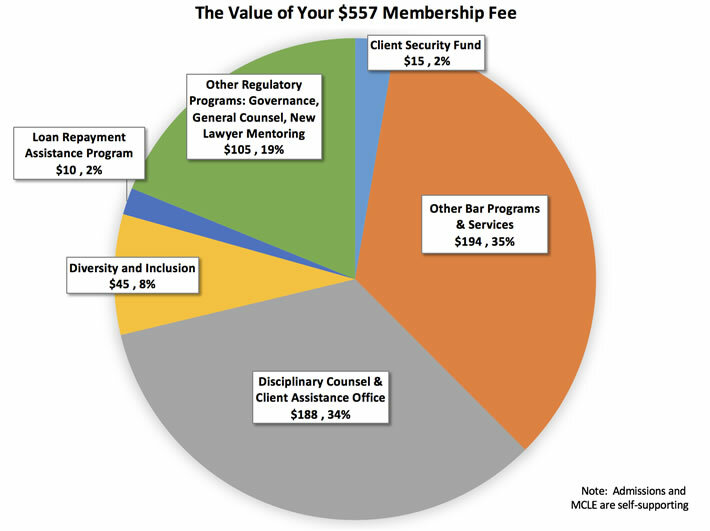 The active member fee pays for the cost of regulatory programs and other bar services. The allocations by program are estimates developed from the current budget. Actual results may vary.